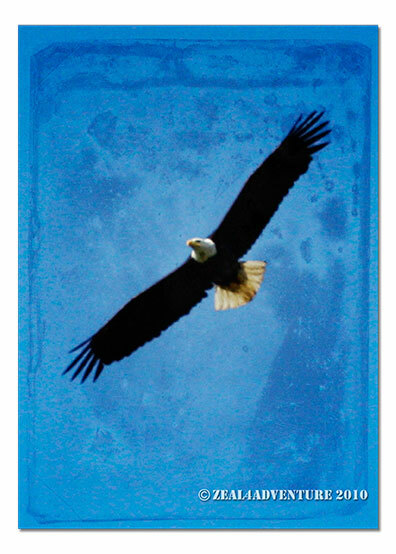 Bald Eagles have been the national bird of the U.S. since 1782. While they are still protected under federal law, the birds are no longer “endangered” and about half of the 70,000 live in Alaska. They are spotted year round but are especially abundant March through early July. 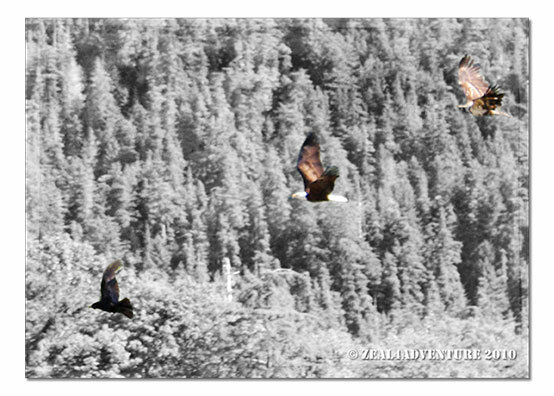 As the photos reveal, it was bald eagles galore for us that one day in June. 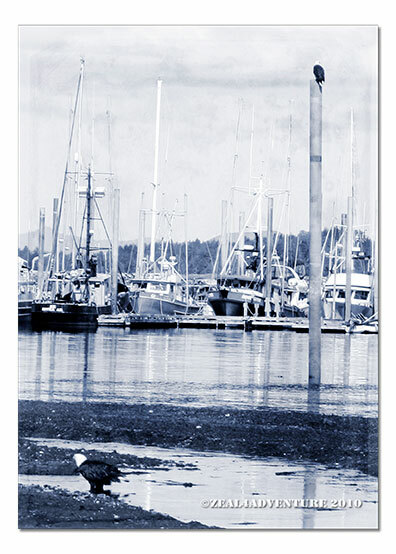 They were perched atop poles, on the beach, in flight around the harbor waiting for spawning herrings to appear. They were spectacular. For more scenes from across the globe, click here. 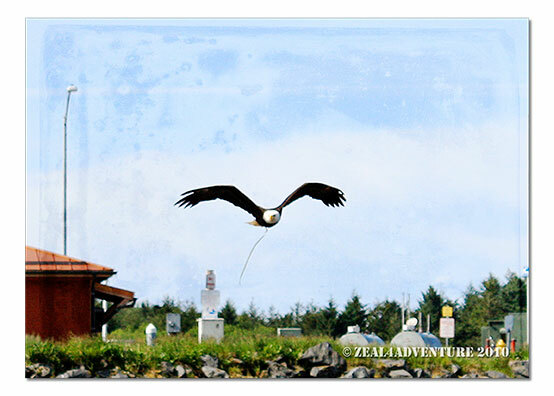 reminds me of this song… soar like an eagle.. 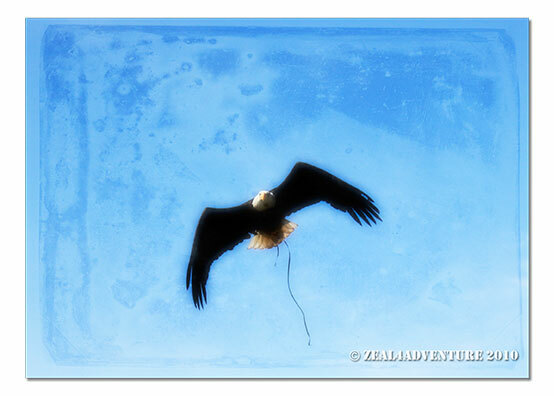 Cool shots of the Eagles. 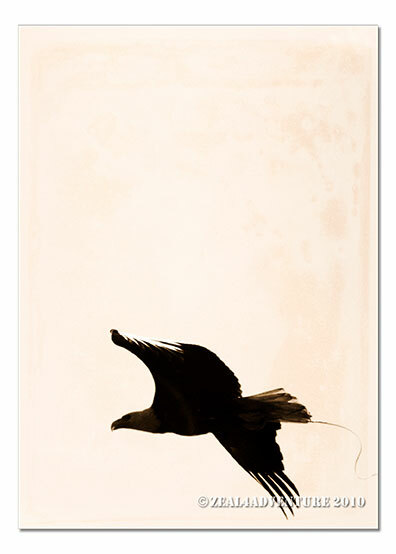 Such a majestic bird in flight and still! How lucky to see so many. I saw a couple of them last spring and it was like winning the lottery to me. Great pictures!